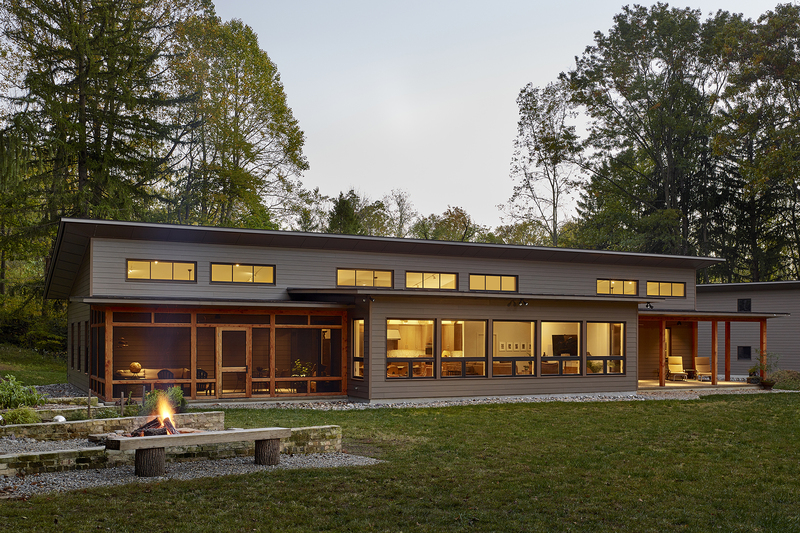 Kamp Kaolin is a high performance 2,700-sf private residence based on passive house building methods and building science. 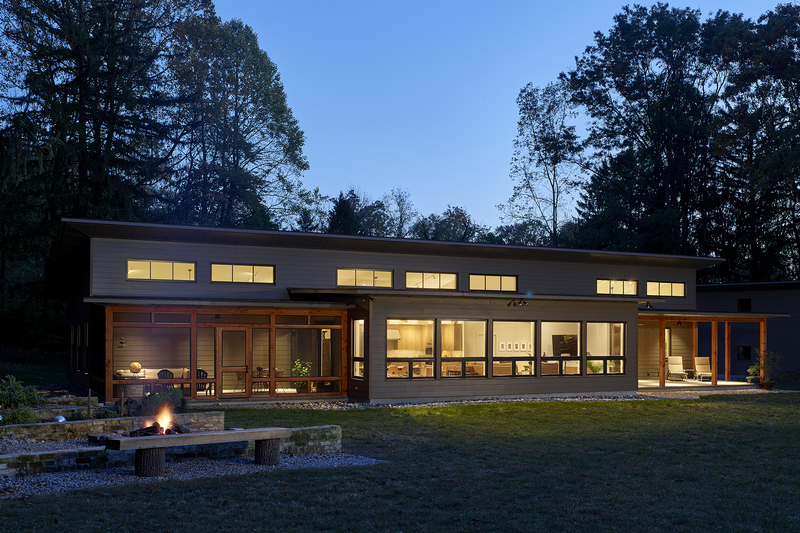 The secluded property takes its name from a former kaolin quarry on the site. 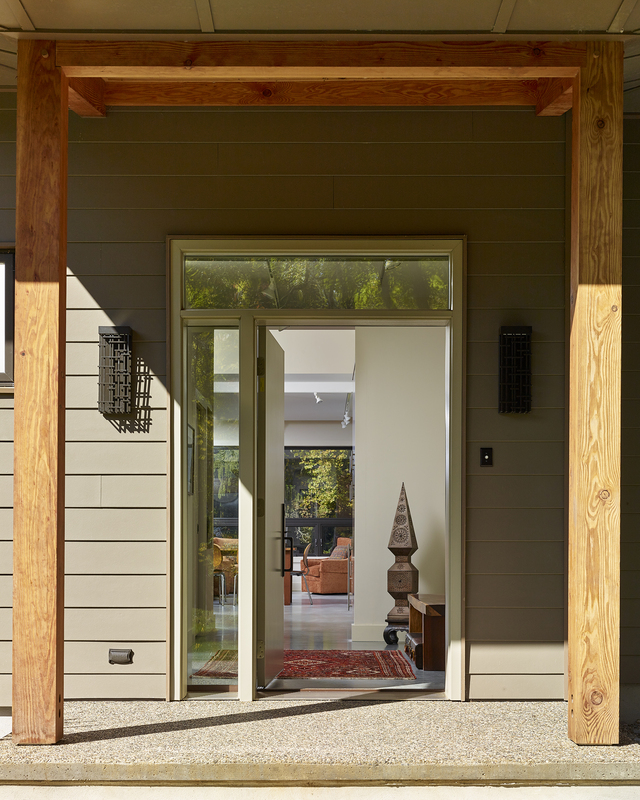 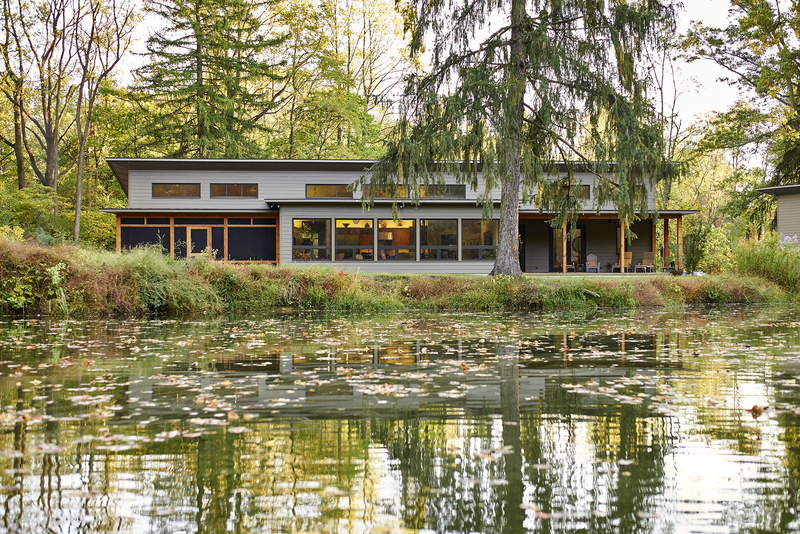 Hugh Lofting partnered with the homeowner and architect to collectively design and build a home where the retired homeowners can age gracefully. 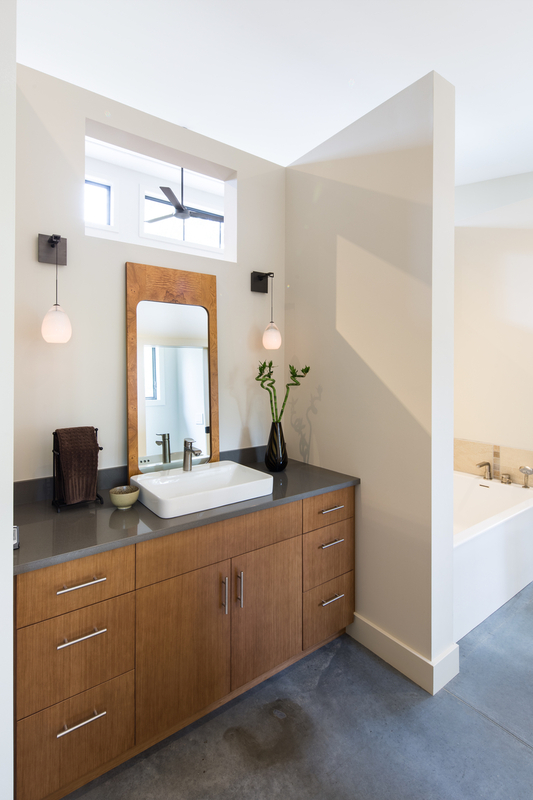 Aging-in-place features include single-floor living, roll-in showers, and multi-function rooms that can transition into caregiver space if needed in the future. 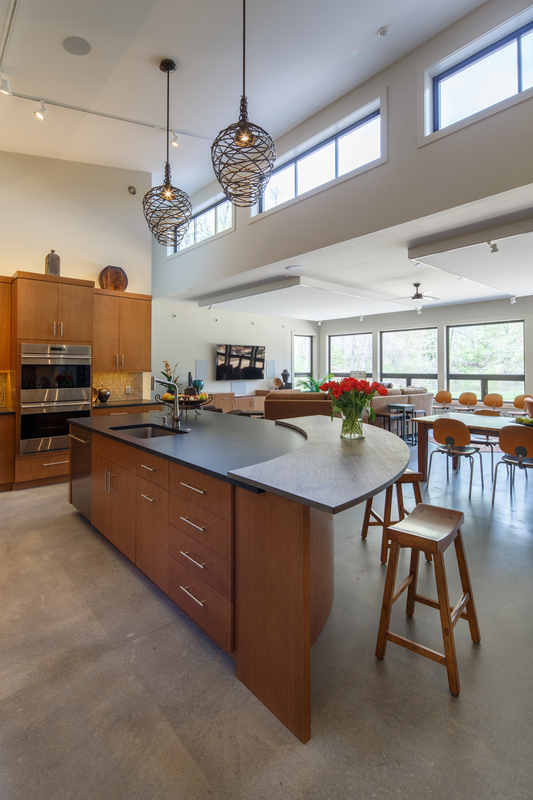 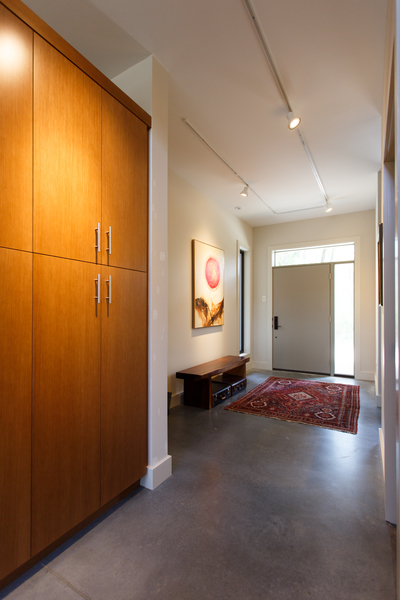 An open floor plan offers functional flexibility. 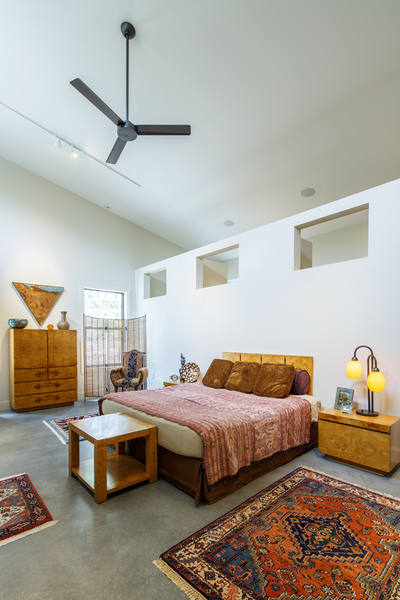 The primary structure of the house is in the exterior walls, so although there are some interior partitions – to divide bedrooms and bathrooms – the interior can be reconfigured in the future to create smaller or different spaces. 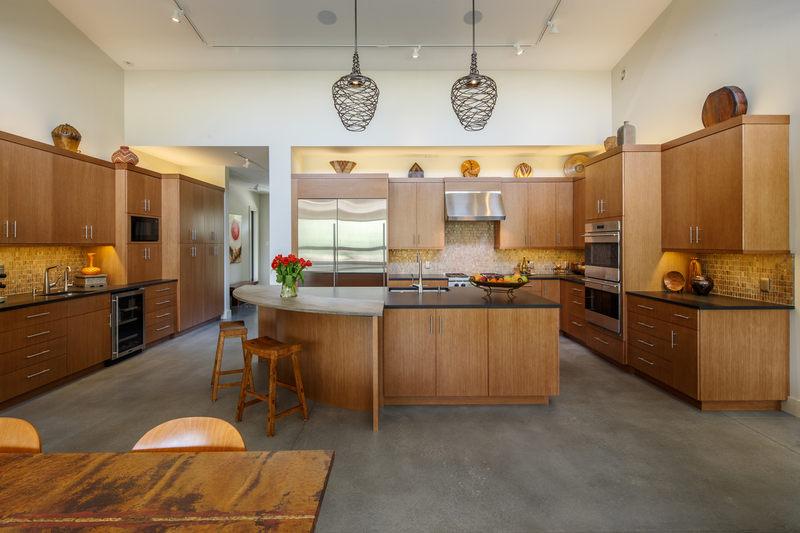 The open floor plan suits the homeowners’ living and entertaining style. 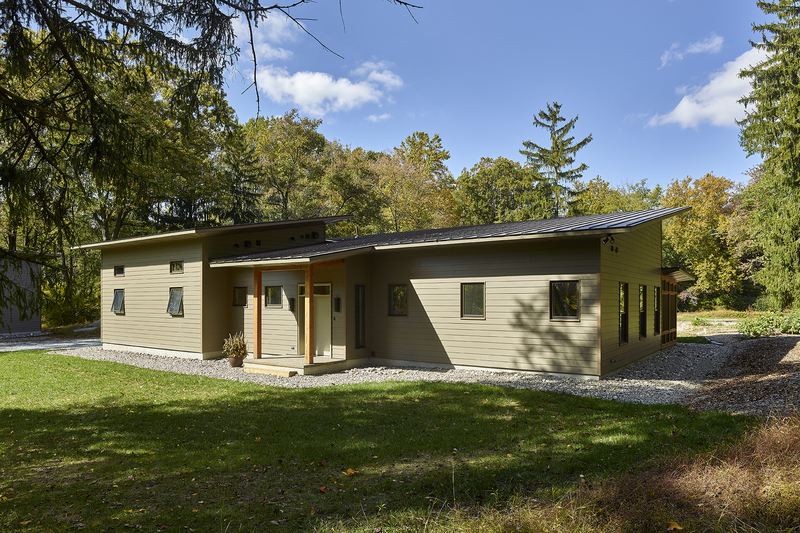 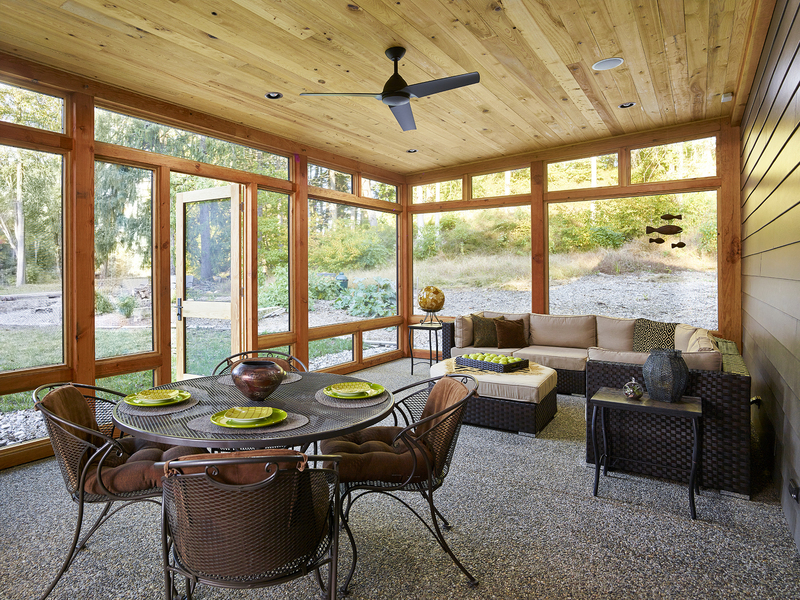 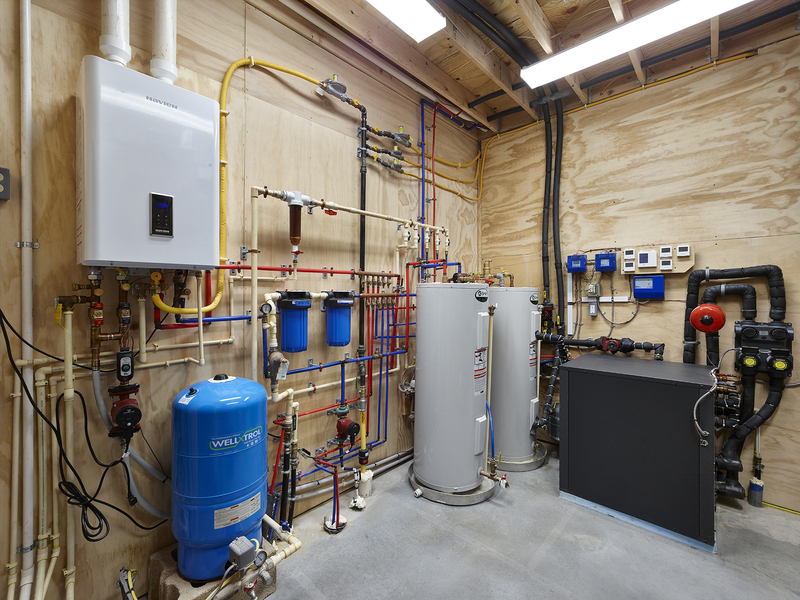 Kamp Kaolin incorporates an exterior wall panel air and moisture barrier zip system and super insulation as well as a closed-loop pond geothermal system for extremely efficient heating and cooling. 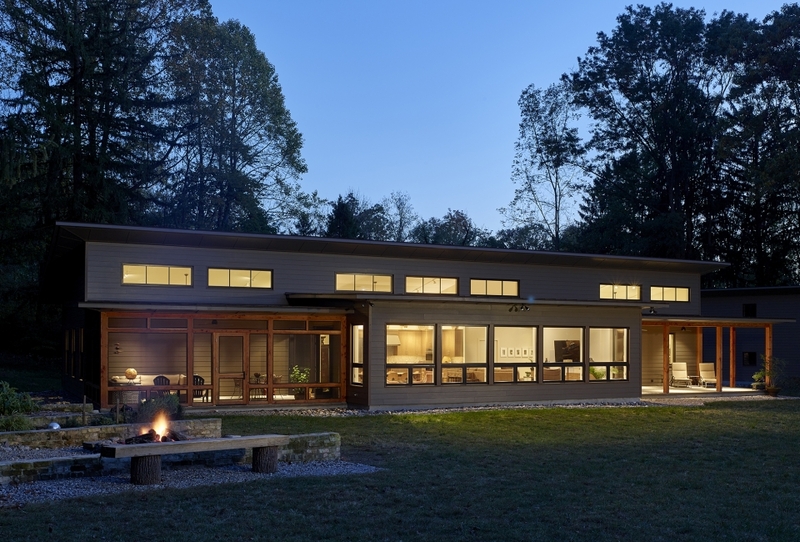 The extremely tight and energy efficient envelope keeps the house cooler in summer and warmer in winter. 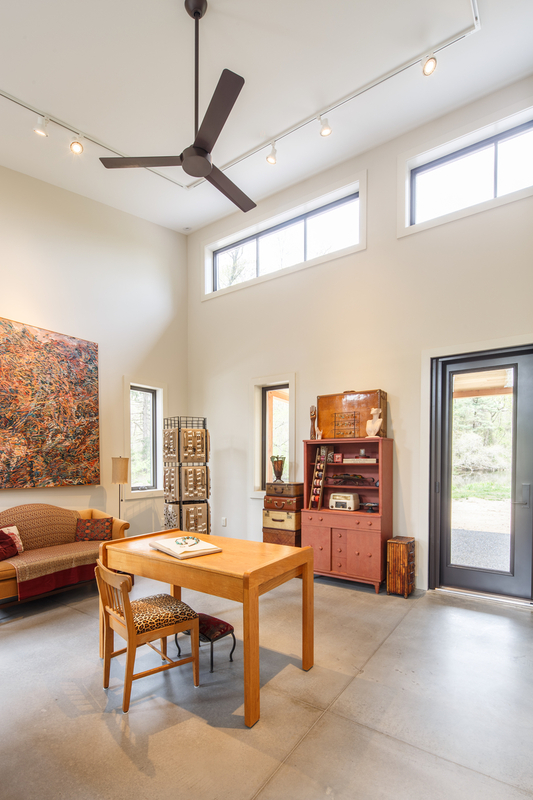 Radiant heat in the home’s concrete floors keeps it warm and comfortable. 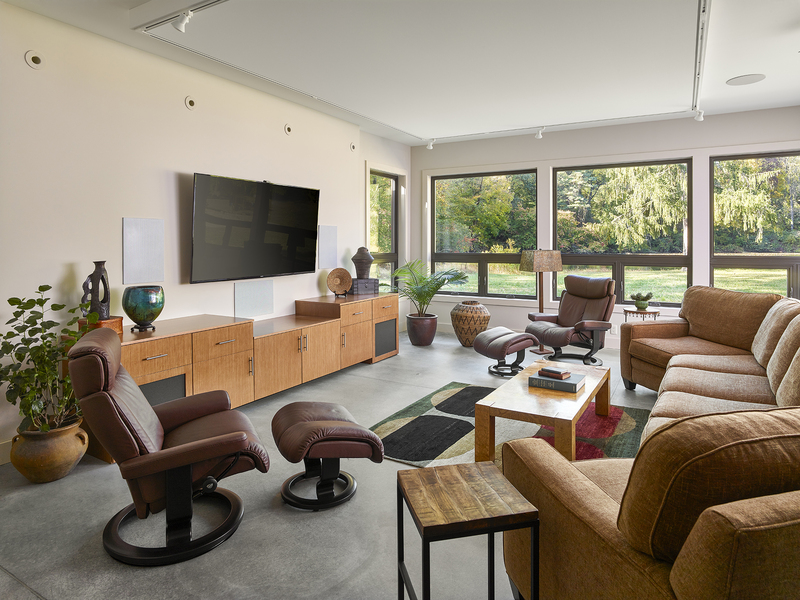 The homeowners wanted advanced home automation features and even issued their own RFP for a technology vendor to provide the customization they wanted. 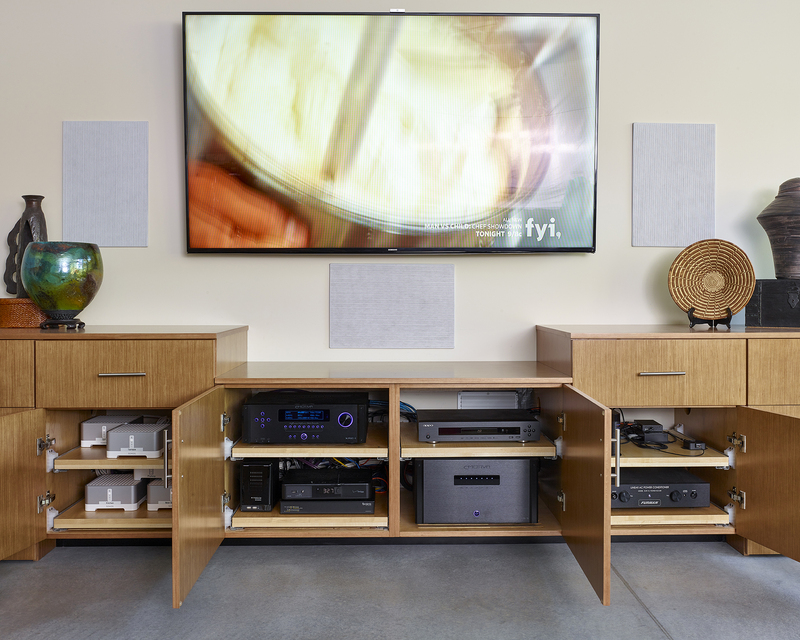 Home automation enables them to control HVAC, lighting, media, and other systems from their smart phones and tablets from anywhere in the world. 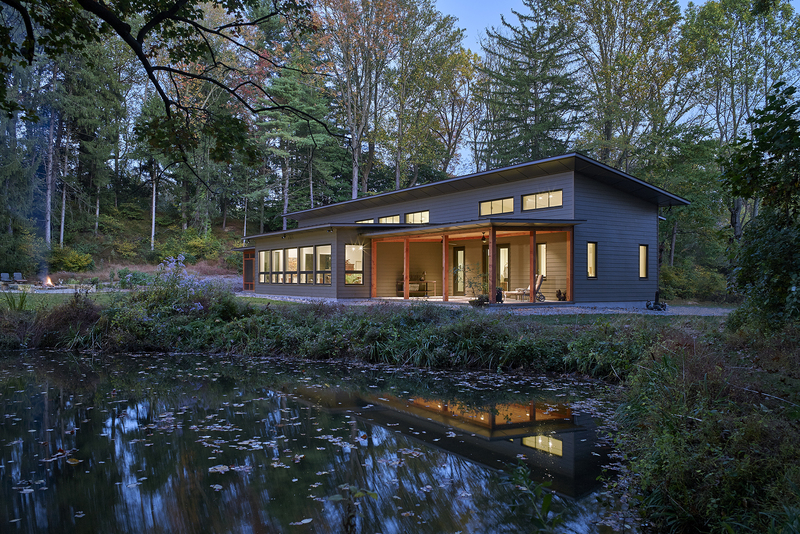 The project was featured as a Cool Home in Electronic House magazine.